If you need to reach new or support existing customers, provide a shop front to a range of products and services, let’s talk! Overhaul to the Kapitex Healthcare Limited website. As an example, Kapitex Healthcare Limited — a market leader in the development and manufacture of medical devices for use in tracheostomy and laryngectomy — has been a client of Octane for almost two decades. As of 2017, we completed the second major overhaul, retaining ExpressionEngine — a powerful, a multi-purpose content management system — but introducing some significant improvements. Kapitex manage the web pages, while Octane focuses on the boring mechanical things, giving them more control and reducing costs. A website that works on either desktop or mobile devices. Tons of room to expand — new products, or entire ranges of products, news updates, and recruitment. 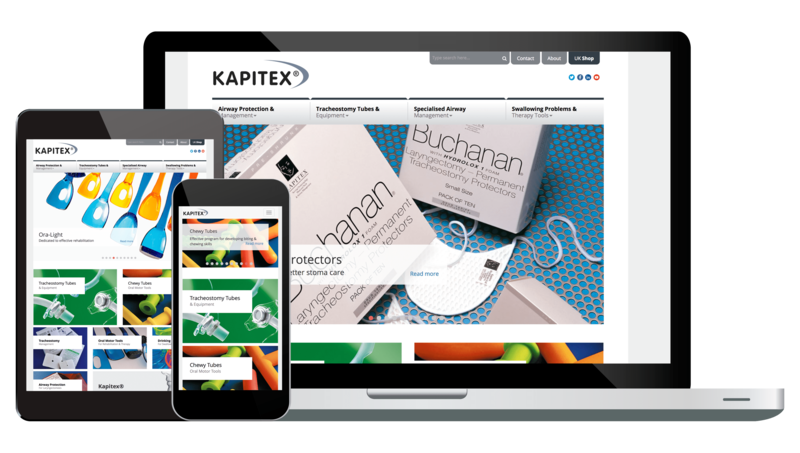 More information about overhaul to the Kapitex Healthcare Limited website. Octane’s been helping businesses up and down Britain make money and save time since 1999. Whether you’re in academia, event management, healthcare, or manufacturing, chances are Octane knows how to help you and your business.